The Sea Shell Resort & Beach Club is LBI’s hottest spot for day time and nighttime entertainment. Indulge yourself with the best in live music, dining and dancing. Join us at our oceanfront Tiki Bar for the area’s best pool party with bands that are sure to get you out of your seat—then, take your choice of either casual or fine dining at our award-winning restaurants. Late night, finish off the perfect day in paradise dancing the night away in our night club with the hottest bands and DJ's at the Jersey shore. Guaranteed to make your LBI visit one to remember. We’ve got it all and since we’re located in the middle of everything on LBI, you can leave the car parked and easily walk to most of the island’s best attractions. Join us for some fun in the sun with some of your favorite entertainers. The Sea Shell Provides music outside everyday, either by the tiki, or poolside ( In Season Only). Monday - Friday unwind with one of our acoustic acts by the tiki bar that you can enjoy while laying on the private beach or lounging in the pool. This entertainment goes from 4-7 every day and be sure to check out our Happy Hour specials that change daily from 4-6 pm. Saturday & Sunday we kick it up a notch with full bands playing poolside. Every Friday, celebrate the beginning of your weekend with “The Pickles”. Every Saturday, celebrate the beginning of your weekend with our Pool Parties featuring a rotating schedules of some of LBI’s best Bands. Continue that excitement into the weekend on Sunday Funday with Shorty Long and The Jersey Horns. Join us in our Martini Lounge for soothing background entertainment regularly featuring piano, acoustic & jazz style music. 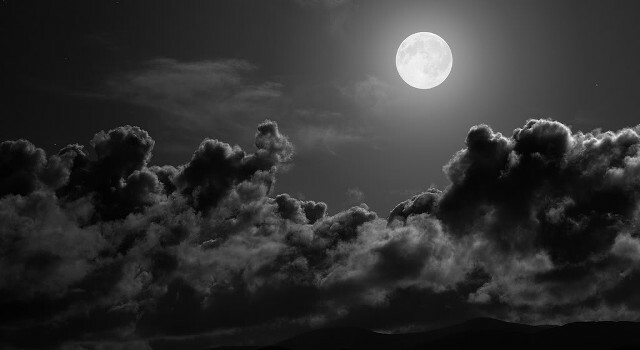 Come howl at the moon at our annual Scandalous Extravaganza! When the moon is bigger so are our drinks! Every drink is served double the size! This year we have a Mechanical Shark, face painters, an ice luge and a Midnight Bikini Fashion Show! This exclusive events is only held once a year, so don’t miss out! Look for the spotlights in the sky to guide you in! Looking for some fun in the sun? Join us every Saturday day poolside for live music that is sure to get you out of your seats. Starting mid afternoon, the band takes the stage outside and provides you with non stop entertainment until the early evening. Relax and listen to the music in a lounge chair on the private beach, or sit with your feet in the pool- either way you are sure to have fun! Looking for a little “hair of the dog”? Get yourself right back in the party with Shorty Long and The Jersey Horns. Playing poolside every Sunday, this band will leave you wanting more. Don’t be surprised if you see “Shorty” casually cruising by your table in a toy fire truck while performing one of his famously entertaining songs. We are proud to be the ongoing host of one of the summer’s funnest fundraisers. 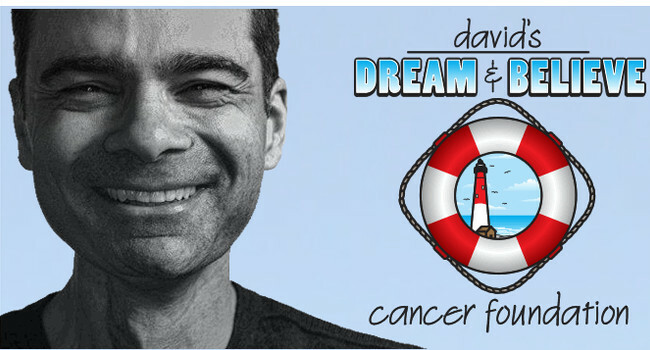 It’s a wonderful night of delicious food, endless cocktails and live entertainment - all for a great cause! The Wedding Road show is hosted annually by the Southern Ocean County Chamber of Commerce. 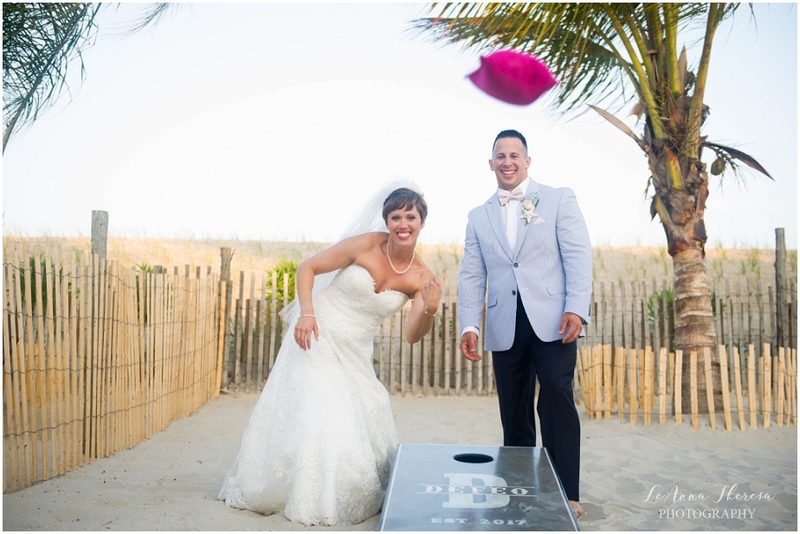 It showcases not only the wedding venues of LBI, but local vendors as well. Florists, bakers, Dj’s, videographers and more gather to help make planning your special day as easy as can be. This is a self guided tour, which allows you to visit the locations and see the vendors that most appeal to you. Held in the spring of each year, the wedding road show will make it's 2019 debut on April 28th. We look forward to seeing all of our future couples there! 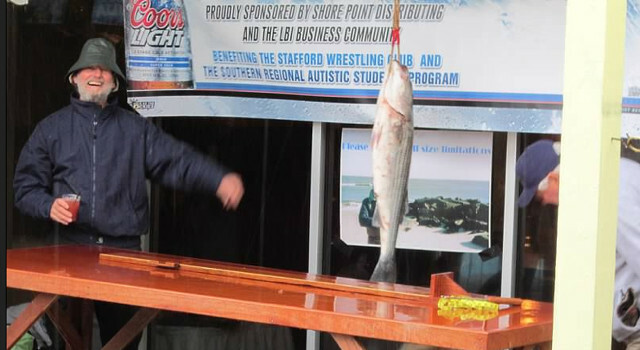 20189 marks our 23rd annual Striped Bass Fishing Derby. Held at the end of each October, this event has raised more then $500,000 to date to benefit local organizations. This three-day event draws fishermen and women alike from up and down the East Coast all in search of the illusive “big one”. This year's recipient is Coastal Volunteers in Medicine. This years tournament with be October 26th - October 28th.